It almost feels like folk tale at this point, to say the Dallas Cowboys schedule from week 10 to 14 was destined to sink a 2018 season that's gone from 3-5 to 7-5 atop the NFC East. The Cowboys are undefeated over this stretch with wins over the Eagles, Falcons, Redskins, and Saints. Their midseason turnaround has set up a high-stakes meeting with the Eagles again this Sunday. With so much focus on how the Cowboys began this winning streak from the lows of a week nine loss to the Titans, it's easy to lose sight of the improvements this revitalized team has made over recent weeks. 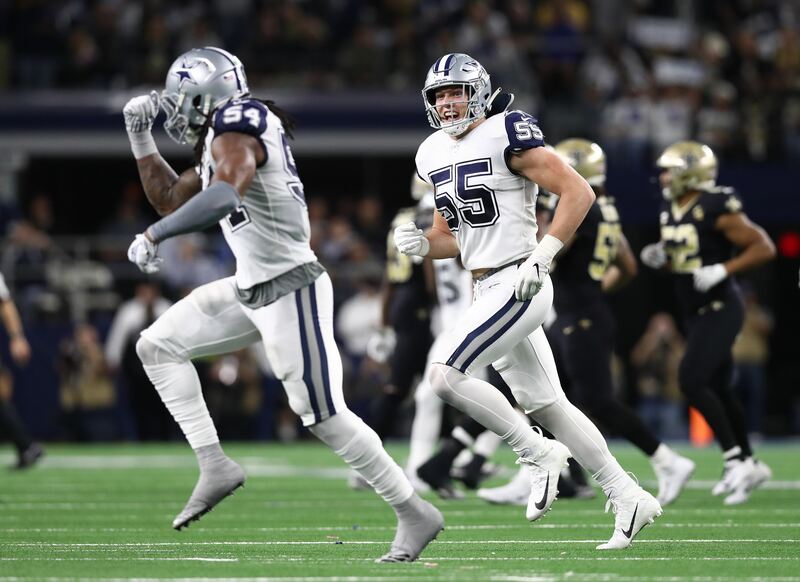 The Amari Cooper effect has generated all the headlines on offense for the Cowboys, while rookie Linebacker Leighton Vander Esch continues to play his way into the national spotlight for a Dallas defense that most recently held the Saints to ten points. Cooper is averaging 2.4 yards of separation over the last four weeks. On the season, Michael Gallup is averaging 2.6, but just 1.9 before the arrival of Cooper. This average for the first-year receiver comes from just two qualifying games, not reaching the minimum five targets any other week. The combination of Cooper and Gallup on the outside is one the Cowboys should have confidence in for a long time. Still reaching their full potential, the ability for this duo to open up the offense - and the Cowboys ground game - has been evident. Running Back Ezekiel Elliott is averaging 5.15 yards per carry. Despite this number decreasing with each win, Elliott's effectiveness in the Cowboys first road win of the season is what set the tone for this being a season worth saving. His 151 yards at the Eagles was the first of three straight games over 100 yards, a streak snapped last Thursday against the Saints. Elliott's 16 game pace at his yards per rush over the last four games is 1,876 yards. This would be a new career high, and ahead of the pace current rushing leader Todd Gurley is on for the LA Rams. The Cowboys getting back to their basics doesn't stop with Elliott. The five blocking for him, including a new left guard Xavier Su'a-Filo, are now coached by former Cowboys tackle Marc Colombo. Taking over for Paul Alexander, the Cowboys are back to dominating games in the trenches on both sides of the ball. DeMarcus Lawrence, Tyrone Crawford, Randy Gregory, Maliek Collins, Daniel Ross, and Antwaun Woods have all contributed on a deep defensive line deployed by DC Rod Marinelli. This unit excels at occupying blocks, allowing Vander Esch and Jaylon Smith to look as great as they have. This "Hot Boyz" front seven that flies to the ball is second in the league for average points allowed. 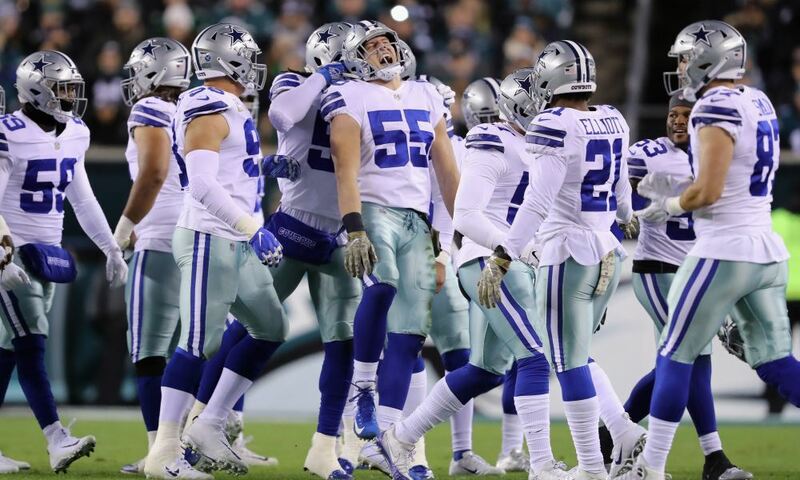 Over the last four games, the Cowboys have allowed an average of just 74 rushing yards. Byron Jones is playing like one of the best cornerbacks in the NFL. In the Cowboys win over the Saints, even Cornerback Jourdan Lewis made a reappearance on a defense he played well in as a rookie. With Jones, Lewis, and Chidobe Awuzie coached by Kris Richard the Cowboys are formidable against not only the run but the pass too. The quarterbacks they've beaten recently prove this, as Carson Wentz, Matt Ryan, and Drew Brees have all struggled against the Cowboys. The 421 yards conceded to the Eagles at the start of this run is actually the most since a week five overtime loss to the Texans. This is something the Cowboys can look back on now, a clear sign of improvement from the last time they fought for their NFC East lives. 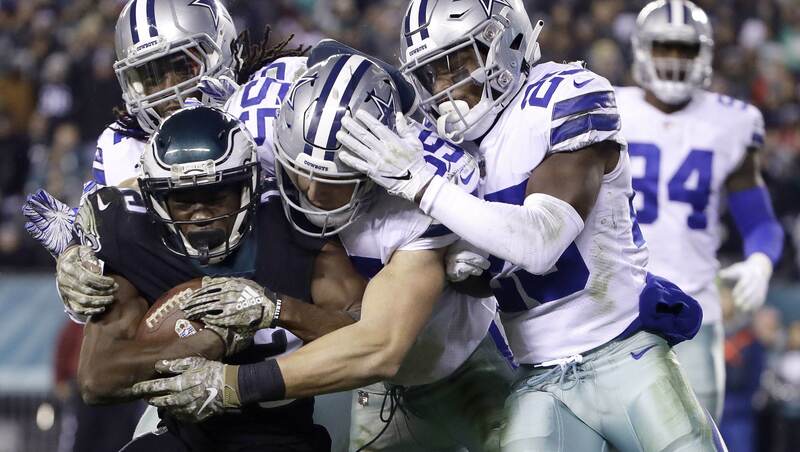 Reality for the Cowboys is that early season losses, put behind them with coaching and personnel changes, have one of the hottest teams in football in must-win mode against the defending Super Bowl champions on Sunday. This young and confident team doesn't want it any other way, with this outcome being more than a best case scenario if proposed over the first eight weeks. Four weeks remain for the Cowboys to continue peaking at the right time. 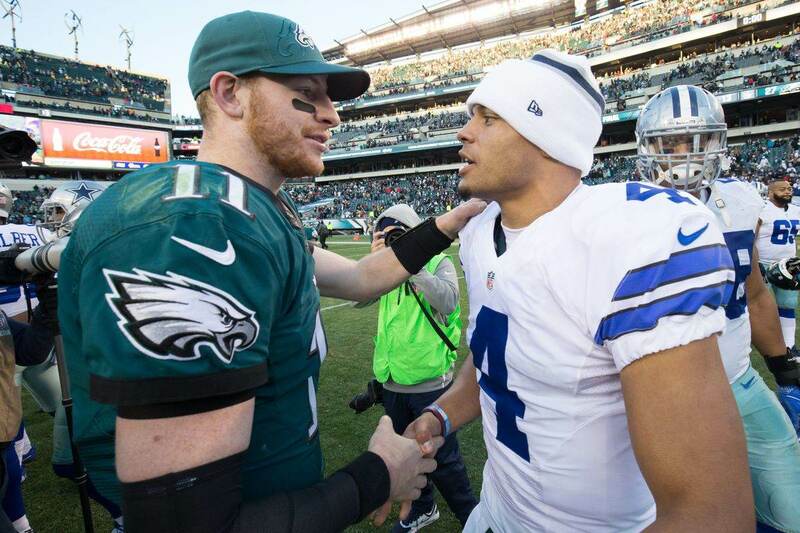 Tell us what you think about "How Much Have Cowboys Improved Since 1st Meeting with Eagles?" in the comments below. You can also email me at Sean.Martin@InsideTheStar.com, or Tweet to me at @SeanMartinNFL!